Breakfast with Santa & Basket Raffle Benefit! 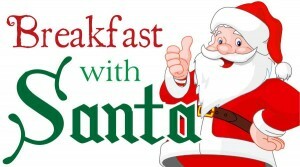 Come on out December 15 from 8 am to 12 pm for Breakfast with Santa!! Scrambled eggs, pancakes, home fries, sausage, ham & toast are on the menu. No Tickets or RSVP required. There will also be a Basket Raffle and Craft Show from 8 am to 3:00 pm to benefit Owen Wilt. He is a local toddler with bilateral Wilms tumors. *Please note that Breakfast with Santa will benefit the Fire Company and the Craft Show & Basket Raffle will benefit Owen. Check Facebook for more information.